Whimsical + fun Stiffened Mini Felt Cake Topper. 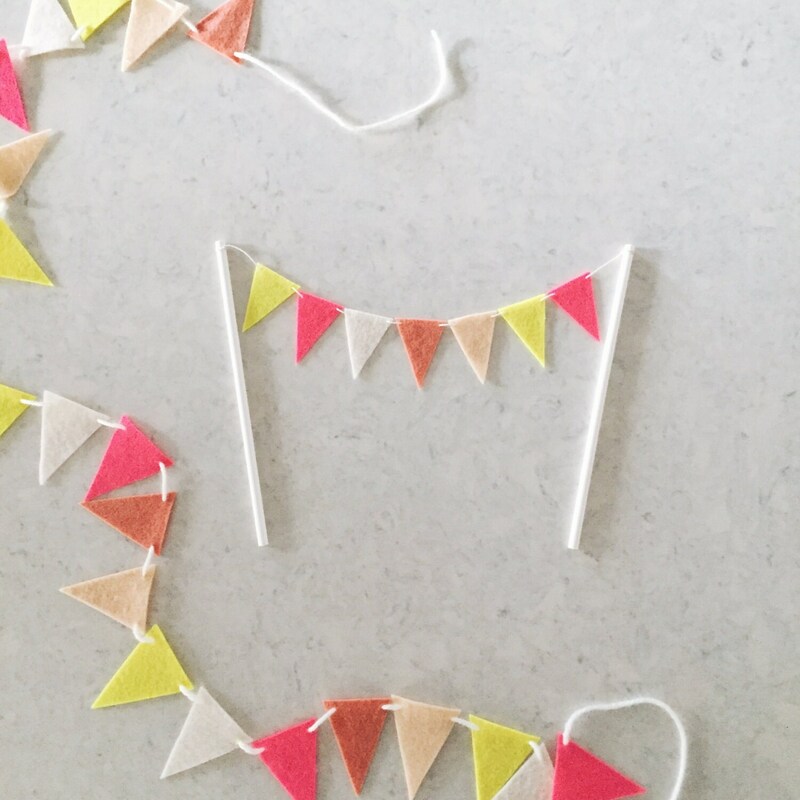 Perfect splash of color atop a birthday, baby shower, or just-for-fun cake. Dimensions: 10.5" wide, 7" tall, 7 mini flags.